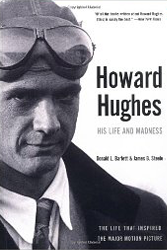 Howard Hughes lived one of the greatest, most heroic, misunderstood, mysterious, bizarre, and tragic lives in American history. Here, in a uniquely full and brilliantly documented biography by a Pulitzer Prize-winning investigative team, the mythology that surrounded that life is disentangled from the truth. Hughes had always been different. Raised by overprotective parents, pathologically fearful of germs, in awe of his father, unable to make friends, he grew into a man who knew the pain of mental instability, of "not being like other men." Certainly his riches set him apart. But he was also tough. Orphaned a millionaire at eighteen, Hughes repudiated his relatives, seized control of the Hughes Tool Company, the linchpin of his fortune, and went on to become a flamboyant movie producer, holder of many world aviation records, principal owner of Trans World Airlines, a critically important defense contractor, Hollywood's most pursued, and elusive bachelor, and partner of the United States government. It is, so far, a golden story. Perhaps not even Hughes knew the depth of darkness that lurked beneath. As he entered his late forties, paradoxes began to dominate his life. Named "one of the ten greatest businessmen in American history," Hughes in fact was a dismal failure, losing some $900 million on a single manufacturing contract and $21 million on a mining swindle. Pictured as a ladies' man, with beautiful starlets in constant attendance, Hughes was, to say the least, ambivalent toward women. In the last ten years of his life, a woman was in his presence only once, and she was a company officer, not his wife, Jean Peters, from whom he lived apart. Hughes liked to portray himself as a rugged individualist hounded into seclusion by lawsuits and taxes: in fact, he withdrew from the world because he feared disclosure of his deteriorating mental condition. He was a man who loved to negotiate, but hated to close a deal; a man who despised government for its taxes, but sought constantly to manipulate it, particularly the IRS, through favors for Richard Nixon's family and the mysterious $100,000 in Bebe Rebozo's safe. Hughes was a man, finally, who came to be ruled by his madness. In the twilight of his life he spent eighteen years in sealed bedrooms. Padding about naked, eating little, seeing no one except his Mormon entourage, totally addicted to narcotics and tranquilizers, he was less and less a rational being. His vast empire slipped into the hands of his company managers, and his fortune began to disappear at the rate of over $619,000 a day for many months. He never even knew of the alliance with the CIA which was made in his name. And the world never knew of his madness. Then he died, but even in death the enigma persisted. What finally killed him? Were others culpable? And what would become of his vast estate, of the Summa Corporation, the Howard Hughes Medical Institute (a gigantic tax manipulation), Hughes Aircraft, Air West, his Las Vegas properties? This is an epic biography of an epic figure, who bestrode the world like a colossus, yet could not master himself.